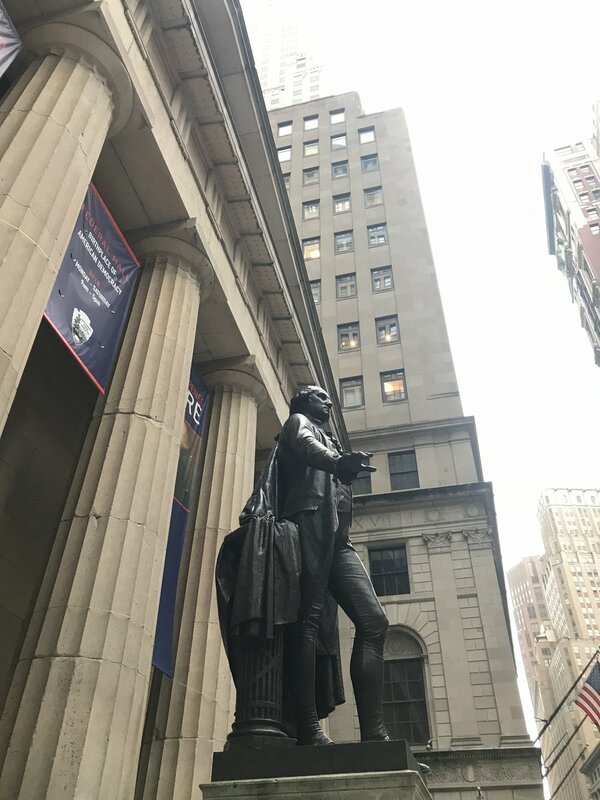 We recently had the opportunity to spend about 36 hours in New York City (for a work-related trip) and somehow managed to fit in a quick stop to the Federal Hall National Memorial. This was the first time that Logan visited NYC so we hit up a lot of the highlights that a 4-year-old would be interested in. Along the way we ducked into this memorial to learn about the history of the building, snap a few photos (very few) and pick up a Junior Park Ranger badge for the little man. The memorial is where our first president, George Washington took the oath of office and where was where the first congress called home. There is a small museum with a variety of exhibits showing the transformation of this building over the years and a small multimedia presentation to watch. 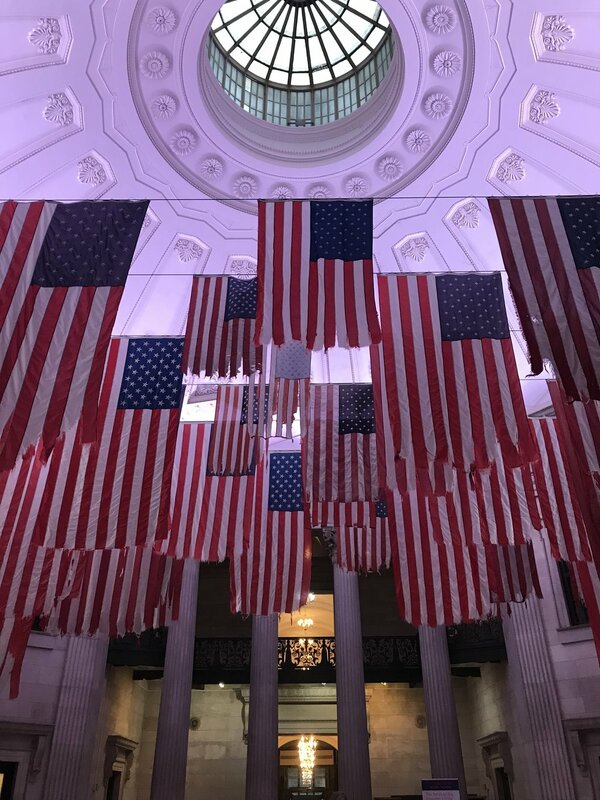 Our favorite part of our visit to the memorial was an exhibit featured in the main entrance - A Living Thing: Flag Exchange. 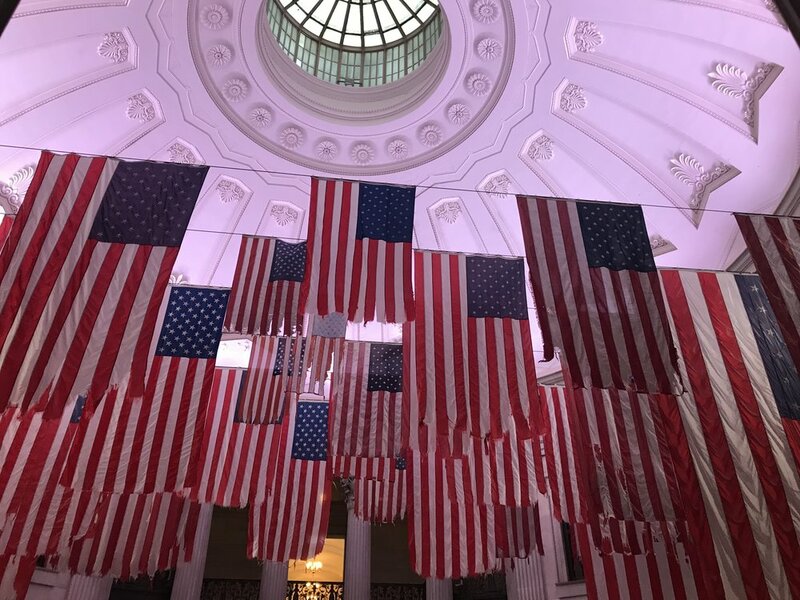 There was a display of 50 American flags that were collected during a 5 year period by artist, Mel Ziegler as he traveled around the country. There was a flag representing every state in the union. Each of the tattered flags came from school, homes, city halls, etc that he visited during his travels. It was a fitting display for this historical building and made brought home a very important message to the visitors. We only spent about 30 minutes at this site but I am happy we made the effort to include this in our sightseeing tour.